For T-Mobile, the hits just keep coming. The wireless carrier on Friday sent out media invitations to its Uncarrier 7.0 event scheduled to take place on September 10 in San Francisco - just one day after Apple's media gathering for the iPhone 6. 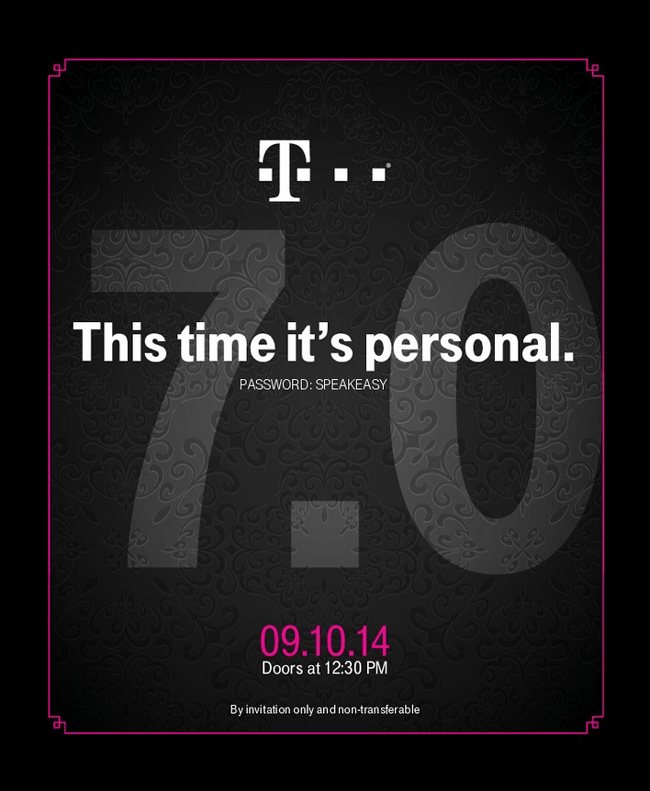 The tagline for the event reads, "This time it's personal" which could be a hint that T-Mobile is preparing to overhaul its Simple Choice plans for individuals. It makes sense considering the carrier recently addressed its family plan offering but that's total speculation at this point. The timing and location of the event could also give us some clues about what to expect (or perhaps it just makes it convenient for journalists that will already be in the area for Apple's event). The three hour get-together (unusually long for a T-Mobile presser) will get underway starting at 1pm PST. Interestingly enough, it'll be held at a T-Mobile retail store (on the corner of Market and 3rd street) instead of a conference hall or theater. With the event, T-Mobile joins a growing list of companies scheduled to make big announcements next month. It all gets started on September 3 when Samsung is expected to announce the Galaxy Note 4 at an Unpacked event that coincides with the start of the annual IFA trade show. A day later, Motorola is hosting an event in Chicago where they'll likely unveil the Moto X+1 handset. From there, Apple takes center stage on September 9 where we expect to see two new iPhones and perhaps a new wearable. A few weeks later on September 30, Microsoft is planning to unveil Windows 9 "Threshold."